✓ Our society is experiencing a sharp increase in the number of people who suffer from complex, chronic diseases such as diabetes, heart disease, cancer, mental illness, and autoimmune disorders like rheumatoid arthritis. ✓ The system of medicine practiced by most physicians is oriented toward acute care, the diagnosis and treatment of trauma or illness that is of short duration and in need of urgent care, such as appendicitis or a broken leg. Physicians apply specific, prescribed treatments such as drugs or surgery that aim to treat the immediate problem or symptom. ✓ Unfortunately, the acute-care approach to medicine lacks the proper methodology and tools for preventing and treating complex, chronic disease. In most cases it does not take into account the unique genetic makeup of each individual or factors such as environmental exposures to toxins and the aspects of today’s lifestyle that have a direct influence on the rise in chronic disease in modern Western society. ✓ There’s a huge gap between research and the way doctors practice. The gap between emerging research in basic sciences and integration into medical practice is enormous—as long as 50 years— particularly in the area of complex, chronic illness. ✓ Most physicians are not adequately trained to assess the underlying causes of complex, chronic disease and to apply strategies such as nutrition, diet, and exercise to both treat and prevent these illnesses in their patients. ✓ Patient-centered care. The focus of functional medicine is on patient-centered care, promoting health as a positive vitality, beyond just the absence of disease. By listening to the patient and learning his or her story, the practitioner brings the patient into the discovery process and tailors treatments that address the individual’s unique needs. ✓ An integrative, science-based healthcare approach. Functional medicine practitioners look “upstream” to consider the complex web of interactions in the patient’s history, physiology, and lifestyle that can lead to illness. The unique genetic makeup of each patient is considered, along with both internal (mind, body and spirit) and external (physical and social environment) factors that affect total functioning. ✓ Integrating best medical practices. Functional medicine integrates traditional Western medical practices with what are sometimes considered “alternative” or “integrative” medicine, creating a focus on prevention through nutrition, diet, and exercise; use of the latest laboratory testing and other diagnostic techniques; and prescribed combinations of drugs and/or botanical medicines, supplements, therapeutic diets, detoxification programs, or stress-management techniques. ✓ Environmental inputs – The air you breathe and the water you drink, the particular diet you eat, the quality of the food available to you, your level of physical exercise, and toxic exposures or traumas you have experienced all affect your health. ✓ Mind-body elements – Psychological, spiritual, and social factors all can have a profound influence on your health. Considering these areas helps the functional medicine practitioner see your health in the context of you as a whole person, not just your physical symptoms. 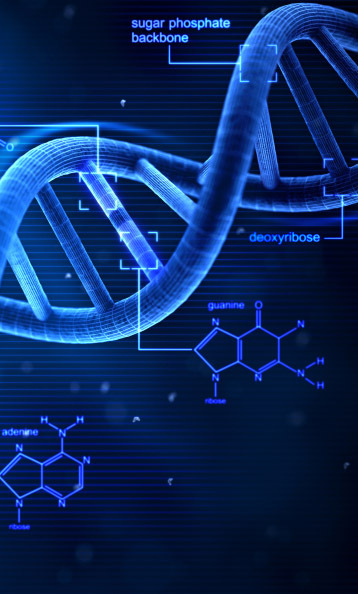 ✓ Genetic makeup – Although individual genes may make you more susceptible to some diseases, your DNA is not an unchanging blueprint for your life. Emerging research shows that your genes may be influenced by everything in your environment, as well as your experiences, attitudes, and beliefs. That means it is possible to change the way genes are activated and expressed. ✓ Prevention is paramount. Virtually every complex, chronic disease is preceded by long-term disturbances in functionality. ✓ Changing how the systems function can have a major impact on the patient’s health. The functional medicine practitioner examines a wide array of available interventions and customizes a treatment plan including those with the most impact on underlying functionality. ✓ Functional medicine expands the clinician’s tool kit. Treatments may include combinations of drugs, botanical medicines, nutritional supplements, therapeutic diets, or detoxification programs. They may also include counseling on lifestyle, exercise, or stress-management techniques. ✓ The patient becomes a partner. As a patient, you become an active partner with your functional medicine practitioner. This allows you to really be in charge of improving your own health and changing the outcome of disease.